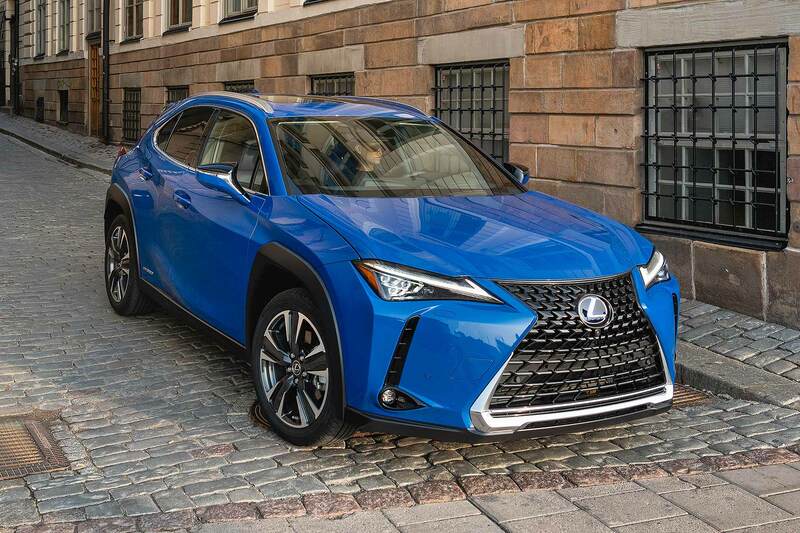 The new Lexus UX compact SUV crossover arrives in the UK in March 2019 and the firm has announced prices will start from £29,900. A rival to the Audi Q3, BMW X1 and Jaguar E-Pace, the long-awaited junior Lexus SUV will offer an all-hybrid line-up, based around a 2.0-litre UX 250h petrol motor. 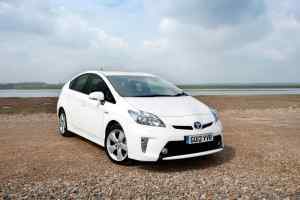 The firm is continuing with its rather ambitious ‘self-charging hybrid’ phrase for the conventional hybrid system. 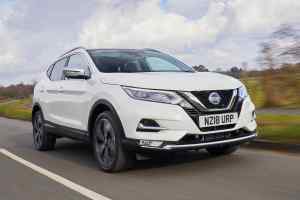 Base models will be front-wheel drive, with the E-Four all-wheel drive system offered for £1,250 extra: it is standard on the top-spec version. 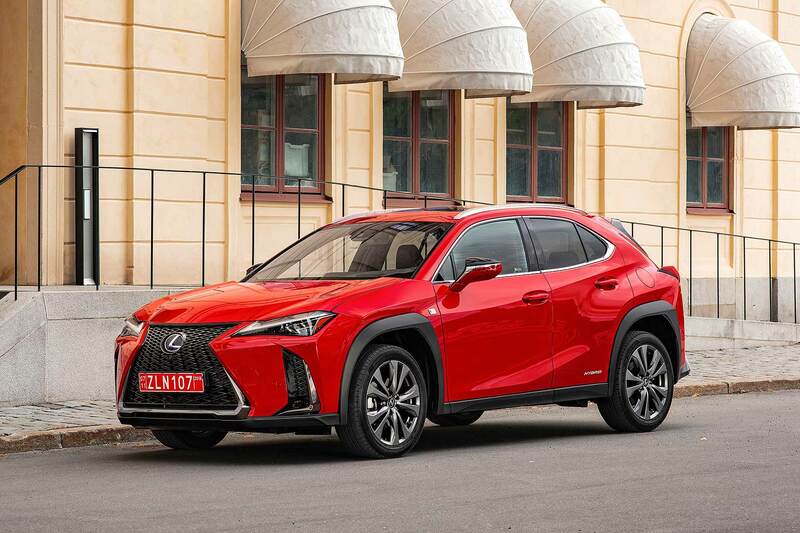 The UX is the first Lexus to be based on the firm’s new C-platform global architecture, called Lexus GA-C.
Lexus will be hoping the UX proves considerably more successful than its current compact offering, the Lexus CT200h. There will be three variants – the base UX, F Sport and Takumi. All models feature climate control, sat nav and the Lexus Safety System+. F Sport upgrades base 17-inch alloys to 18-inch, and adds an F Sport spindle grille and sports seats, rear privacy glass, electric heated front seats and a heated steering wheel. Then there’s a big jump in price up to the Takumi, with the haul of equipment to match: ventilated ‘smooth leather’ seats, 13-speaker Mark Levinson stereo, 10-inch infotainment display, head-up display, sunroof and various other gadgets. Five options packs are offered, for UX and F Sport: the Takumi gets it all as standard.